Angkor Archaeological Park—which offers visitors the chance to walk through many of the monuments remaining from the Angkor Empire, dating from the late 8th to early 15th centuries—is no exception. “UNESCO status does not necessarily mean that the host [nation] is able to protect the site sufficiently, given the major increase in tourism that results from receiving the status,” said Josephine Caust, an arts consultant and one of the study’s authors, in an email. Angkor “is a major international cultural heritage site—once it is damaged or destroyed, it may not recover,” Ms. Caust said, adding that the world, not just Cambodia, was responsible for its protection. The park, which received heritage status in 1992, was visited by about 5 million people last year, according to a spokeswoman from the Apsara Authority, the government body that oversees the sprawling 400 square km temple complex. Foreign tourists numbered about 2.1 million in 2015, generating about $60 million in revenue, according to Apsara. 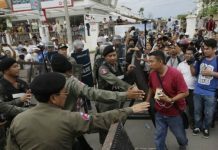 Cambodian citizens are not charged entry fees. An influx of tourists raises a number of challenges to site preservation, including structural “wear and tear,” the paper says. “Tourists continue to walk over areas of the site that are fragile and thereby damage the Khmer stonework,” it says. To protect fragile structures and promote safety, some stone staircases and paths are covered with wooden platforms, said Apsara spokeswoman Chau Sun Kerya. Overall, the park’s world heritage status had increased tourism and assistance from foreign countries to preserve and develop it, Ms. Sun Kerya said, while acknowledging that there was a downside to hosting more visitors. The park’s visitor code of conduct, disseminated in 2015 in response to incidents involving foreign tourists, including breaking statues, addressed some of the challenges of preserving a cultural site visited by millions every year, Ms. Sun Kerya added. “The answer from the Cambodian side is always to say the temple complex is so large it can accept even greater numbers of tourists. That is a false equation,” Ms. Becker said in an email on Sunday. Unesco’s country representative could not be reached on Sunday, but according to its World Heritage List website, Angkor’s integrity faces dual pressures from the more than 100,000 residents living in over 112 historic settlements across the park who regularly attempt to expand their dwelling areas and as a result of being in close proximity to Siem Reap, a major tourism hub. The city “has been allowed to develop in whatever way the market determines with no limitations around size, location or design of hotels and other facilities,” the paper says. Siem Reap’s basic infrastructure—water, sewage and electricity—is not able to meet the demands of the city’s increasing number of hotels, and local residents are not benefiting enough from tourism revenue, Ms. Becker said. “The rush to expand and make money is jeopardizing the future viability of the monuments. 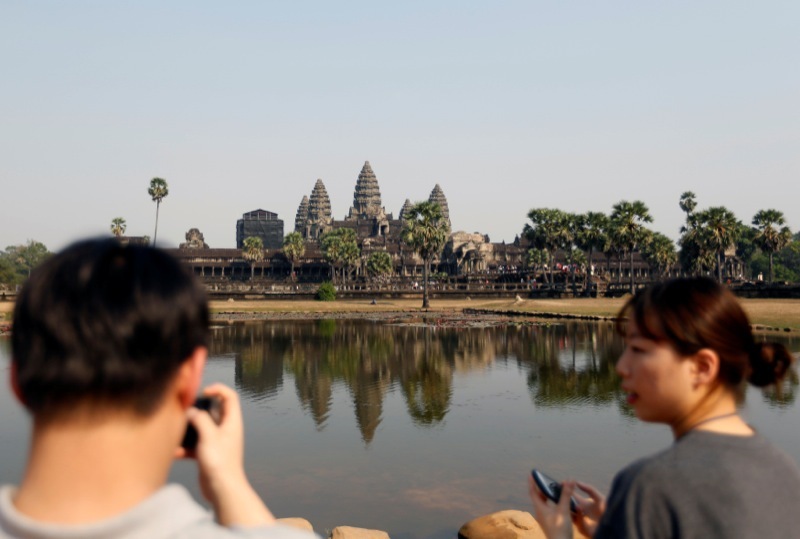 The fear of Angkor becoming something of an ancient amusement park is not unfounded,” she said. The paper’s author, Ms. Caust, said finding a balance between increasing economic returns and preserving cultural sites was necessary to sustain the tourism industry. “If this development is not controlled in terms of the numbers who visit, the scale of the hotels, the aesthetics of the environment and the infrastructure requirements, then in the end, the site itself and the community around it lose their attraction to the tourist, and the tourist stops coming,” she said.